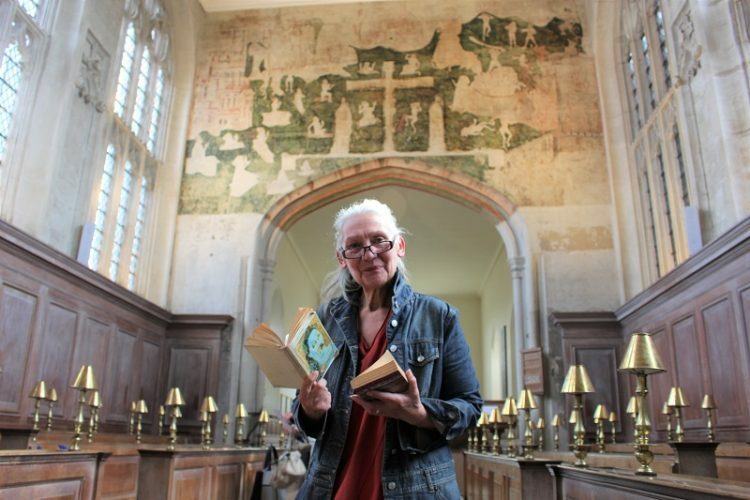 THE INSPIRATIONAL walls of Stratford’s Guild Chapel will be filled with art of a different kind as it plays host to a unique poetry workshop celebrating and exploring its colourful history. The event, sponsored by the Falcon Hotel, takes place at the Guild Chapel on National Poetry Day (September 28th) from 9.30am until 2pm, with tickets now on sale. It will be followed later in the afternoon by a free event at the Chapel – when the Chancel will be turned into a ‘poetry corner’, giving people the chance to read aloud their own poetry or a favourite work, for anyone who visits the Chapel to listen to and enjoy. Dave Reeves – the pioneer of ‘Extreme Writing Workshops’ is currently Poet in Residence and workshop provider at the Black Country Living Museum, while performance poet and mixed media artist Wendy Freeman has enjoyed residencies and devised workshops at the Forest of Arden Festival, Compton Verney and Riverside Studios in London, to name just a few. Freedom… (& Beyond) will offer poets and aspiring wordsmiths of all ages and abilities a chance to be inspired by What Lies Beyond… and by the Guild Chapel itself. With a history dating all the way back to the 13th Century, it is home to some of the finest surviving medieval wall paintings in all of Europe. Applied in the late 15th Century they were limewashed over less than 100 years later during the Reformation. In Stratford, the Royal orders to ‘remove all signs of idolatry’ were sent from Elizabeth I to John Shakespeare, father of the playwright and the Chamberlain of the Corporation of Stratford at the time. Having lay hidden for centuries, some of the best-preserved paintings were the subject of major conservation work last year and are now open to visitors, free for all to see as they would have looked to medieval worshippers half a millenia ago. “What better setting to inspire creativity and poetry,” Wendy said. “The Guild Chapel is a magical place – full of history and stories and secrets, with captivating imagery wherever you look. 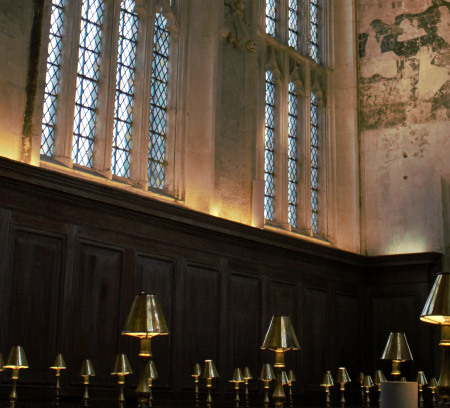 All proceeds will go to the Guild Chapel to support its Pounds for Panels appeal – raising funds to allow more wall paintings to be revealed and conserved. The free poetry corner event will begin in the Chapel at around 3pm on National Poetry Day. In the run up to the day, people are also invited to get involved with a special chance to ‘Bring and Buy Poetry Books’ at the Chapel. Books can be left at the Chapel – and purchased from the Chapel – from September 21st onwards in the lead up to National Poetry Day, again with all proceeds supporting the Chapel. Join us for an open Mic Night for local poets and anyone who loves to read, write to listen to poetry. Why not come along and share your favourite work? Our bar will be open and all those wishing to read should arrive by 7pm to register their interest. The evening is hosted by Wendy Freeman. The event is free of charge and you will have the opportunity to hear about our exciting plans for the poetry festival 17-24 June 2018.